Hiring someone to manage your social network or even online footprint for small companies on a shoe-string budget might sound like paying for an unnecessary luxury. But that could not be further from the truth. However big or small, local or global, such is the world we live in that if you are to succeed in any way shape or form creating and managing an online profile on social networks is now mandatory. You may ask why, well here is your answer! Some of the biggest and well known companies spend billions on constantly evolving their brand’s image to better appeal to the public. So it goes without saying that you need to keep your website and all links to social networks up-to-date and easily accessible. If someone googles your company and comes up empty handed then that should start the alarm bells ringing! People who visit your site or your Facebook page will expect to see regular, high quality content. Anything less and you run the risk of you losing your customers’ attention. Having someone deal with your social network, i.e. a social network manager, frees up time for you to get on with running your business. Plenty of you out there are thinking, setting up a website and maintaining a social media profile are not too time consuming. But that’s where you would be wrong. People are now increasingly using social networks to communicate and give feedback or ask questions. If your firm can provide quick, reliable and accurate responses to questions then you will be one step ahead of the game. Many argue that you should prioritise quality over quantity. Ideally you should be striking a balance between the two. Striking that balance though is very time consuming. Finding original and interesting content to keep your customers or potential customers clicking is very time consuming and exhausting. 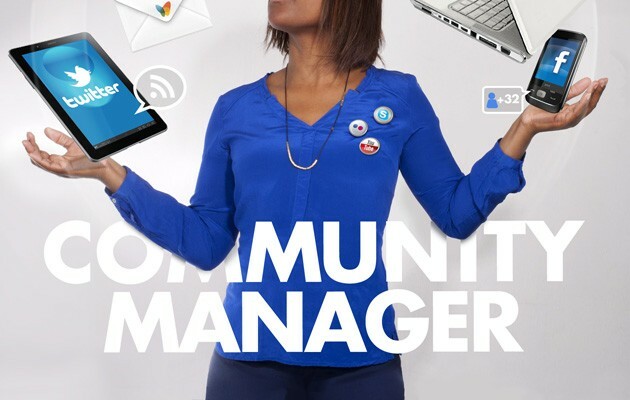 A social network manager would work tirelessly and know the right places to look for these things giving you the time to perform more vital tasks! As an entrepreneur you are constantly making and building relationships. They are the key to any business and through social media you can help people approach you by redirecting them to your own website. Once they are there, it becomes easier to obtain their contact details. Once that happens you can begin to build a relationship at your own pace and not worry about chasing them. Lastly, opportunities for growth, new synergies and interesting projects exist in the digital world. Social networking is the best platform to discover this fascinating world. If you are interested in outsourcing your social media marketing consider using Pink Panster as your Social Network Manager. Part two of our Top Entrepreneur Interviews. Get inspired and reinforced by the world’s top entrepreneurs. Advice on life, business and marketing! if you’re one of those entrepreneurs pushing both yourself and your team to get to market at lightning speed, here are some links to bookmark, and shortcuts to take, to get your project up and running right away. Company logos are about establishing a business identity and making a connection with your direct customers. The logo must represent your company’s values through its design. It’s a good job to have something solid to be able to follow, such as a map to success, and a checklist for our goals. Marketing Strategy! Here are the five biggest reasons your business plan is failing and how to overcome these roadblocks.